Many conditions affect the hip joint and cause symptoms. 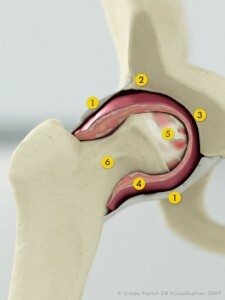 When one or more parts of the hip are damaged, the joint can become painful and movement is restricted. Commonly, pain is felt in the groin, but it can also be experienced down the inside of the leg, into the knee and sometimes down to the ankle. It can also be felt in the buttock, in the top of the thigh, and rarely in the back. In some cases patients experience a sensation that the hip is ‘catching’ or ‘snapping’ with particular movements. This often suggests damage to the labrum or even the articular (surface) cartilage. Often there is a history of previous trauma. Limping is common with any painful condition of the hip. 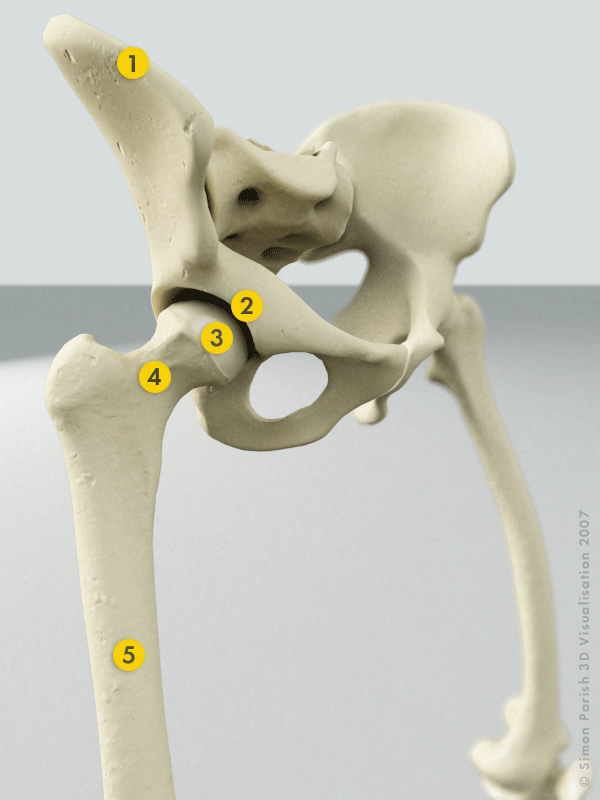 The following basic hip anatomy provides a helpful reference for these pages.